KBR Kids Day is one of Buffalo Bayou Partnership’s (BBP) signature events, with thousands of children and their families in attendance each year. 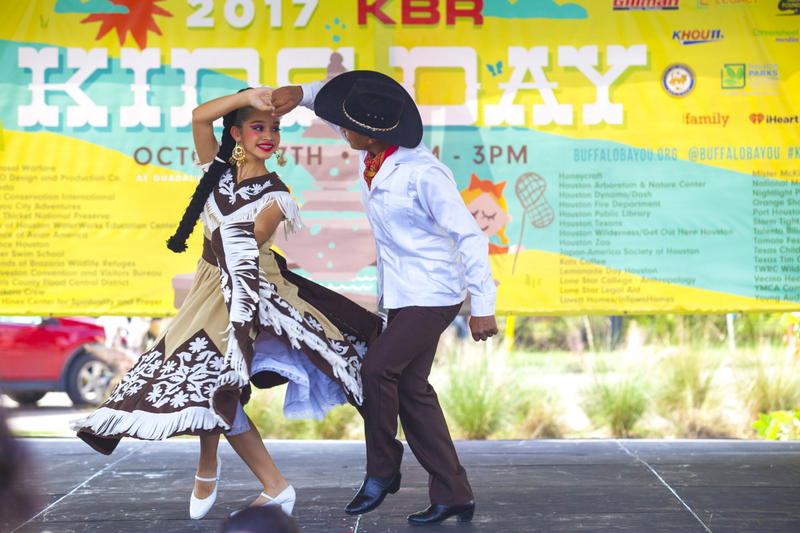 Join us on October 12 for free family fun at the 12th annual KBR Kids Day at Guadalupe Plaza Park. Activity stations will include numerous hands-on activities from over 20 Houston partners, local entertainment and performers, Dia de los Muertos face painters, balloon artists, a rock climbing wall, and so much more! Costumes encouraged! Additionally, we will also have a birds of prey show and a Halloween Costume Parade. Guadalupe Plaza Park is located at the corner of Jensen St. and Navigation Blvd. View photos from KBR Kids Day 2018!